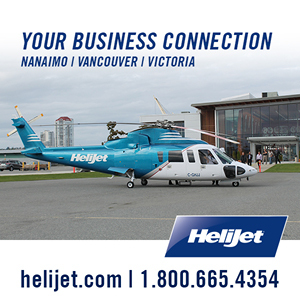 Helijet has been a proud and active participant in British Columbia’s growth for nearly three decades. In 1986, with a carefully conceived vision, a single helicopter, and a handful of enthusiastic employees, Helijet launched Canada’s first scheduled helicopter service. From that single helicopter, flying eight times a day between downtown Vancouver and downtown Victoria, Helijet has grown into a dynamic publicly-traded company with operations in Richmond, Vancouver, Victoria, Nanaimo, Prince Rupert and Haida Gwaii. Helijet’s fleet of medium and large helicopters, as well as medically-equipped & corporate Learjet, is maintained, flown and administered by a dedicated crew of over 100 employees. Helijet is proud of its growth and accomplishments, and looks forward to many more decades of service.